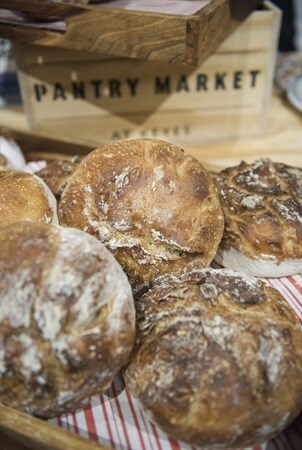 The Pantry Market is the newest neighbour on the Keyes Art Mile, Rosebank's art and design district. I now look forward to the last Saturday of every month, when I get to stock up on some artisanal pantry items. There’s something that resonates with me – having grown up on a farm I suppose – about getting to meet the makers and listen to the stories behind their products. “It’s like with anything – when it has a story it becomes a lot more powerful. 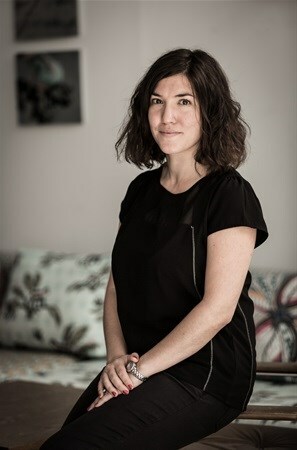 That’s what we’re trying to do here – give makers a platform to tell their story,” says curator Roberta Thatcher, founder of creative studio La Mano. Whilst I know I can buy a similar product nearby, on demand, I personally would rather support the small-scale, speciality farmers and producers whose thoughtfulness and care in what they do is tasted and trusted in the end product. As the founder of a creative studio, why did you decide to start a food market? Keyes Art Mile approached me to curate the market. I jumped at the idea as it is a theme I am passionate about, and the idea of creating a market that ticks all the boxes I would want as a shopper was just too good to refuse. This job really appealed to me on many levels – a great venue, great concept, great audience. 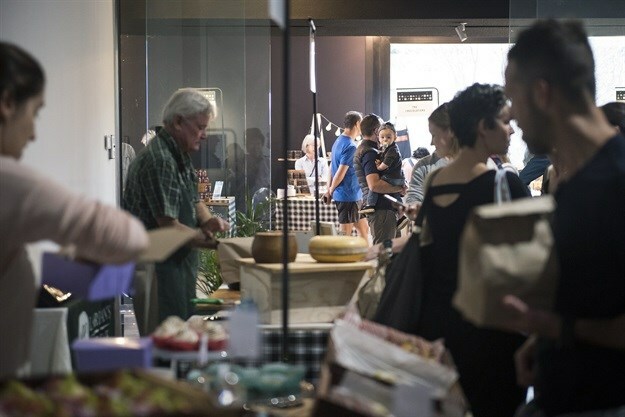 It has been wonderful bringing together a community of like-minded producers and shoppers. What makes this particular market unique in a South African context? One thing we were adamant about when we started the market was that it would be a plastic-free zone. This has been really well-received and our suppliers have started to think about how they package their goods outside of the market, which has been so rewarding. I can attest to that. I recently bought a few Chocoloza pralines (one of the exhibitors), and on purchase, they informed me that if I return the box to reuse, they’ll reward me with a free chocolate. I'm so encouraged that shop owners are becoming more mindful in this regard. Speaking of which, where do you think ‘Joburgers’ and/or South Africans in general are at in terms of understanding and caring about where their food comes from, ingredients and their health benefits, and supporting local sustainability? I think awareness is growing incredibly quickly, to the point that the market hasn't kept up with demand. Which is why there's opportunity for markets such as these. There really aren't enough platforms for makers and buyers to come face to face on a regular basis. Why do you think there’s still a place for markets such as these in 2018? Now more than ever, people are becoming aware of our impact on the planet. We want access to ethically produced, sustainable products and to be able to shop in a plastic-free zone. What would you say to encourage or motivate people with a 'now' mentality, who would generally rather pay for convenience, to 'slow down' and visit the market once a month to learn something new and stock up on some fresh, local produce and pantry items? We can go into the ethics of the products, but to be honest, on a selfish level, they just taste better. You can't compare a bag of lettuce freshly picked from an urban farm to one that's been sitting in a plastic bag for weeks, kept fresh only by nitrogen. Plus, it's a fun, social environment – a far cry from the sterile, unfriendly and freezing cold experiences you have in supermarkets. Is there any other research you’ve done in setting up the market that you found particularly interesting or surprising? I've learned so much about plastics and sustainability. For instance, bamboo plates and cutlery aren't necessarily a better option than plastic. If they're made from bamboo plantations created for this purpose, then they're great, but if not, it's akin to deforestation. You have to really do your research when it comes to finding out how and where things are made. How do you go about selecting exhibitors? Any prerequisites? How does one apply? For me the most important factor is balance. You need to have the right amount of each product, so while I may know of 10 amazing bakers, I would never invite them all to a niche market such as this. I think about what products I want to have at the market and then look for the best producer of that product. I come across so many wonderful food producers through my work as a journalist, through introductions, on Instagram, and my favourite part of my role as curator is meeting them, tasting their products and helping them get ready for the market. What has been the response, of both exhibitors and customers? It seems Joburgers were hungry for a market such as this, where it's not about frying burgers and drinking beer. You can pop in, have some great conversations, pick up exceptional products and still have the rest of the day to enjoy. What’s in your grocery bag? Every month I buy honey from Urban Apiary. I've never come across a more delicious honey – you literally only need a touch in your tea as the flavour is so powerful. Added bonus is that it's farmed in the Joburg suburbs and you can bring your own jar to fill up, so it's a zero-waste product too. I also get salsiccia and coppa from Esposito – Natural Foods from the Kamberg Valley. Franco Esposito's pigs are acorn-fed and this, coupled with his great recipes and techniques, make for an amazing product. Finally, the sourdough bread from Treviso is a must – made from stoneground flour, water, yeast, salt and nothing else, it is literally the best I have tasted. A slice of that with Esposito coppa and lunch is sorted! 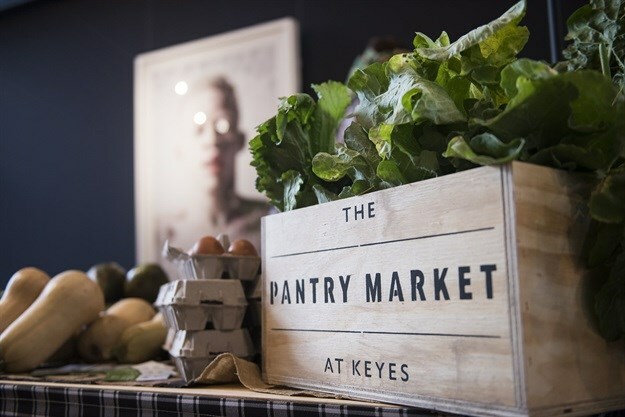 The Pantry Market takes place on the last Saturday of every month in The Atrium of The Trumpet on Keyes Avenue from 9am to 2pm. This Saturday, 28 July, Nonku Britton-Masekela, brand studio editor at 24.com, @NonkuBritto on Twitter / nonkubritton on Instagram will be speaking at 10:30am on inner city farming and food for health. 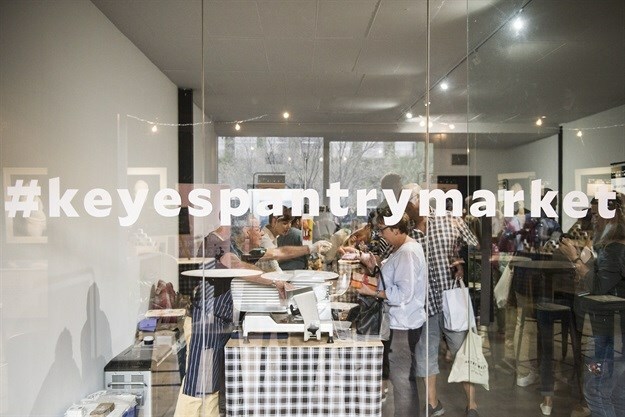 For more and to keep up to date, follow #KeyesPantryMarket, @keyesartmile on Facebook, keyesartmile on Instagram, la_mano_studio on Instagram, and/or Roberta Thatcher @robi_thatcher on Twitter and LinkedIn.